Shyam Thyagarajan is an 8th Grader at George White School, Hillsdale. His musical training began at the tender age of 3 from his mother Smt. Radhika Murali. He could identify many ragas and sing with complete alignment to Shruthi at the age of 3. Shyam has won several prizes at the CMANA Great Composer's Day starting from year 2006 to 2012, which includes four first prizes as well as the Cleveland Thyagaraja aradhanai festival. 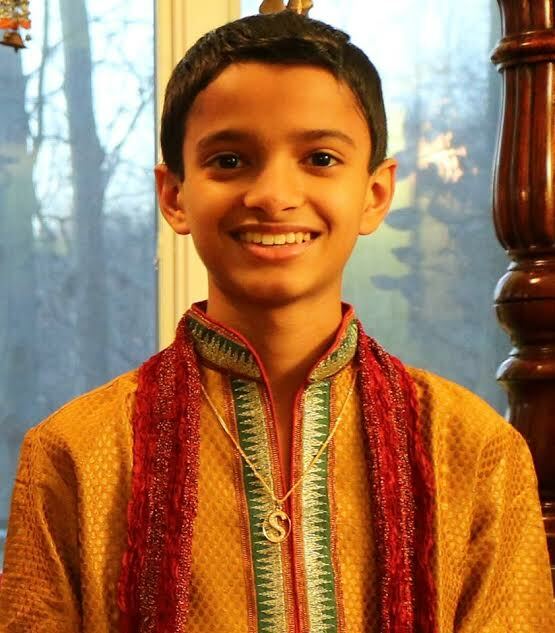 Shyam took part in the Sustaining Sampradayam GNB Group at the Cleveland Thyagaraja Aradhanai festival 2010 when he was 8 years old, being the youngest participant for the GNB Group. Shyam gave his first one hour concert at Raga Sudha Hall, Chennai at the age of 9 under the auspices of Carnatica. He was accompanied by Smt.Padma Shankar on the violin and Sri. Trivandrum Balaji on the mridangam. Shyam is presently a disciple Guru. Sri.Prasanna Venkatesh since the year 2010. He was selected as a finalist for junior category from New Jersey by the popular Jaya TV, CM Idol USA competition held in August 2012. He went into finals of CM Idol USA and received a ‘Best On Stage Performance’ award in California, USA. Shyam won five Second prizes namely Kriti, neravals, swarams, viruttam and alapanai in the Cleveland aradhanai 2014. He won the prestigious M.S. Subbalakshmi award, competing in Senior category, besides winning three first prizes at the CMANA competition 2014, NJ. He has performed for the Yuva Sangeetha Lahari concert series, NJ, New Jersey Music Lovers Thyagaraja aradhanai, Sharadha temple, Stroudsburg and several house concerts. Besides Carnatic music, Shyam also plays classical western piano, chess and basketball.